Many of these issues can take some time to develop to the point where they become noticeable though — in fact, some problems may never be seen. What is noticeable though is that smoking can have huge effects on a person’s appearance, which will be evident to both the individual themselves and others around them. Sometimes referred to as crow’s feet, wrinkles around the outside of your eyes will be noticeable to everyone at some point in their lives. However, they develop earlier and go deeper when you smoke due to the heat from lit cigarettes and also as a result of a smoker squinting in an attempt to keep smoke out of their eyes. Bags under your eyes could also appear more frequently. In fact, a study by Johns Hopkins University School of Medicine previously suggested that those who smoke cigarettes are four times more likely to report feeling unrested after a night’s sleep than non-smokers. The study, which involved the analysis of the sleep architecture of 40 smokers and a matched group of 40 nonsmokers who all undertook home polysomnography, also suggested that smokers spend less time in a deep sleep than non-smokers. One particularly important point that should be noted about smoking is that the habit will reduce the amount of oxygen and nutrients that can get to a person’s skin. The result of this is that skin will begin to age more quickly, and exhibit a dull and grey appearance. Premature aging of your skin by between 10 and 20 years will also occur from smoking. Nicotine causes vasoconstriction too — a condition that narrows blood vessels and thus limits the flow of oxygen-rich blood to the tiny vessels located around a person’s face and other parts of their body. The problem of this condition will be seen if you suffer a wound, as vasoconstriction will take it longer to heal and result in scars appearing bigger and redder than those who aren’t affected by the condition. 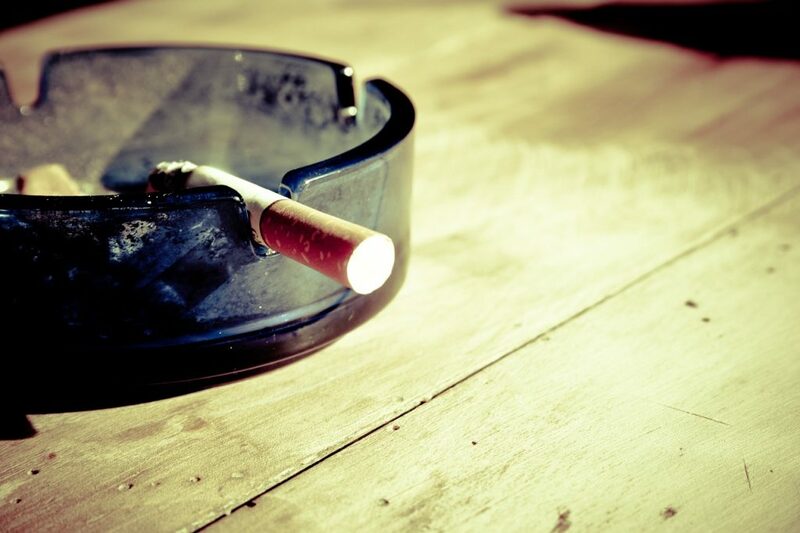 On top of this, a lot of the 4,000 chemicals which make up tobacco smoke damage the body’s collagen and elastin. These are fibres required to give skin its strength and elasticity — lose them and sagging skin and deeper wrinkles will be the consequence, which will be seen especially around the inner arms, breasts and face. Be aware of smoker’s pucker as well. This is an occurrence that comes about as smokers use certain muscles around their lips which cause dynamic wrinkles to appear. Combined with a loss of elasticity to the skin, the result will be deep lines around the lips. It might actually be best to refer to the last heading as ‘effects on a person’s lack of hair’. This is because hair grows from sac-like structures found underneath the scalp called follicles. However, these need oxygen, essential nutrients and vitamins/minerals in order to function correctly and trigger natural hair growth but, as previously discussed, smoking reduces the amount of oxygen and nutrients that get to your skin. When follicles cannot function properly, the result is the normal hair growth and loss cycle becomes disrupted and hair will thin and eventually be lost.